dClinic provides a shared digital care platform so that patients and caretakers/caregivers can effectively communicate. Blockchain has become a buzzword for the healthcare industry, and the use of blockchain for healthcare data management is expected to reach a value of $1.89 billion by 2025. Traditional healthcare systems force organizations, individuals, and service providers to work in silos with fragmented data. 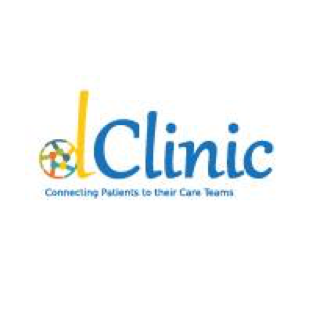 dClinic aims to solve this industry problem by providing a one-stop platform where a patient’s info is collected and shared, with both patients and providers contributing, following, and updating their progress. We think that the healthcare market is ripe for innovation, and dClinic’s platform is unique. Furthermore, we like that dClinic is focusing on the market in Indonesia, and they have already partnered with VLM to help acquire and own a majority of the Indonesian clinics and hospitals. The dClinic platform is a perfect use case for blockchain. The technology will allow consumers’ health data to be secure, and the consumer will allow access to this data to relevant parties, which will ultimately save costs and eliminate inefficiencies of data transfer. The team impresses with many years of experience in healthcare and IT, and their advisory board is fantastic. They are partnered with Deloitte, KPMG, and PwC among others. We also are impressed with the token reward system. The token will not only enable users to leverage the platform, but it will also act as a reward system where patients are incentivized to adhere to their treatment plans, and caretakers are also rewarded. We are less confident on the actual blockchain. dClinic is creating their own blockchain from scratch, and while their telemedicine platform is in production, the blockchain is not yet functioning. If dClinic can develop a working platform that brings their whitepaper to life, we are confident they will revolutionize the way patients interact with care providers. How to invest: To register for the dClinic presale, just follow the link and sign up to be considered. Problem addressed/solved: In traditional healthcare systems, organizations, individuals, and service providers work in silos with fragmented data around a single patient. Globally, there is a lack of a one-stop platform where a patient’s information can be collected, shared, and utilized with a consortium of doctors and service providers. Target customers/customer/ segments/verticals: The stakeholders of this project will be patients and their healthcare providers. The healthcare providers are ultimately the ones who pay for the services and software offered by dClinic. Value creation: dClinic’s platform strength is its ability to integrate. Interoperability is their mantra and they aim to integrate with all clinical and consumer-based systems. Their platform is going to be a blockchain-assisted healthcare data-capturing, management, and exchange framework that allows care providers the means to develop and track the progress of a patient’s care plan. Competition: Many other blockchain projects want to break into the medical space as a storage/transfer system of patient documents. dClinic wants to offer that aspect along with a system where patients are rewarded for doing tasks prescribed by their care team, and the care team will be rewarded for sending encouraging messages through the app and getting their patients to hit their goals. It’s a very niche sort of system that aims to build relationships between patients and their healthcare providers. Market size/potential: The global blockchain-in-the-healthcare market is expected to grow at a compound annual growth rate of 63.8 percent and reach a value of $5.61 billion by 2025. dClinic will specifically target Indonesian clinics, where they’ve already acquired signatures for the implementation of their technology once it is fully developed. Regulatory risks: Regulatory risks in this space include HIPAA and similar healthcare sensitive data privacy regulations. Investor value: All dClinic token owners, including those who subscribe to their Token Sale, will automatically be registered as part of the dClinic Loyalty and Rewards program. If you want the full details of all the benefits bestowed on investors, take a look at the unique "Investor Benefit" document that dClinic provides on its site. Disclosures: dClinic does not slouch when it comes to discussing their project. They’ve got a well-organized site, detailed white and lite paper, and a unique “investor benefit” document (a first for a BMJ-reviewed pre-ICO) where curious investors can get an idea of the full range of benefits that come with investing in the dClinic project. Token distribution: 50% reserve for future stakeholders, 20% ICO, 15% team, 5% advisors, 5% legal, and 5% community building and airdrop. 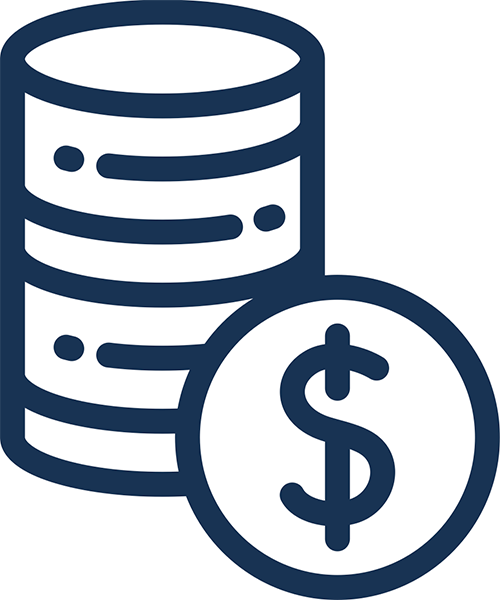 Use of proceeds: 25% product development, 20% dClinic implementations, 15% operations management, 15% marketing development and support developers, 10% legal and audit, 10% business development, and 5% dClinic for rewards to consumers and providers. Track record: dClinic has a core team consisting of 8 members and an advisory group of 12 that include members of VLM. The core team has some top-notch executives, starting with Dr. Richard Satur, an IT specialist who has obtained degrees with distinction in Mathematics, Chemistry, Education and Computer Science. Dr. Satur also has startup experience, having set up an IT Development company building Enterprise Solutions for major corporations throughout the world. The CFO, Syed Abbas, earned his MBA from the Kellogg School of Management and helped co-found a startup aimed at disrupting mobile, on-demand urgent care and remote bio-sensing devices for patient monitoring. The rest of the team offers forward-thinking experience in the sense that most have worked projects revolving around data, IT, blockchain, AI, and medical solutions. Integrity: dClinic hits all targets for demonstrating their transparency and integrity. The CEO has personally published YouTube videos explaining dClinic and his vision for the project. They also give specific details on the nature of their partnership with VLM and how they plan to synthesize each business’ strengths in order to succeed. Lastly, they give tremendous details about each advisor and team member on the site and whitepaper, giving investors total security in knowing who exactly is behind this project. MVP: According to the dClinic roadmap, the launch of dClinic Platform V2.0 will take place in Q1 of 2019. They have started building the platform but are in the beginning stages of the process. Having said that, they’ve reached agreements with multiple Indonesian hospitals that will implement their tech once it is developed. Token use case: DHC is meant for use on the platform and will be exchanged to avail healthcare services provided across multiple care providers, purchase care products in the marketplace, and fuel the rewards system. Value-added: dClinic plans to make use of its token (DHC) by enabling reward-based care planning between patients and their various care providers. dClinic will leverage this token-based reward system to incentivize patients’ commitment to their care and improve doctor focus on individual patients. This reward system will be an additional factor when determining the value of the coin. Decentralization: dBC (dClinic Blockchain Platform) implements secure handling of Healthcare Data on its blockchain, allowing it to run customizable code securely on a decentralized network. Technical difficulty/investment expertise needed: The dClinic project revolves around putting the patient’s wellbeing at the heart of the system. It is mostly a blockchain project for storage and transfer of patient data anywhere in the world. The CEO of dClinic walks through the project in the following video. Halo effect: Vital Life Management (VLM) in Indonesia is dClinic’s key partnership. They have successfully entered into agreements for seven projects (which include five vitality clinics and two hospitals) along with several large-scale clinical trials. dClinic and VLM are both working with a focus on emerging markets in developing countries where they can make a real difference in health outcomes and work toward improving people’s health and wellbeing. Buzz: dClinic definitely has legitimate buzz on their social media sites even though the raw numbers don’t immediately jump off the page, but it’s their engagement that’s impressive. Their Facebook (943) and Twitter (17.1k) receive plenty of action in terms likes, shares, and comments, which is far more valuable than just sheer followers.